For the first time, a fleet of tall ships will sail and race their way along the Gulf Coast to participate in the TALL SHIPS CHALLENGE® Gulf Coast 2018 series with public maritime festivals held in each port. Kicking off this new event, Galveston Island will play host to the 2018 challenge from April 5-8, 2018. 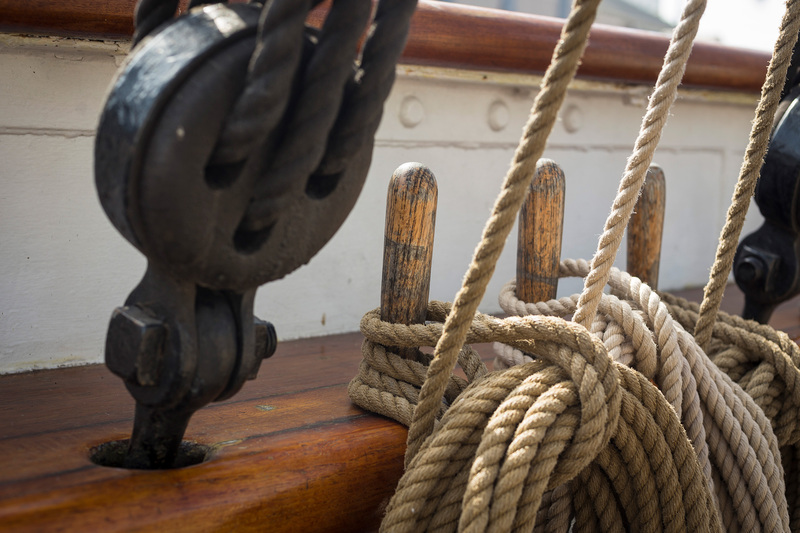 While in port, the ships will be open to the public for viewing and sail away opportunities, and many will feature dockside exhibits and lively interactions with the crew. Each ship has its own educational program and mission, providing the public with a wide array of ways to participate and sail. 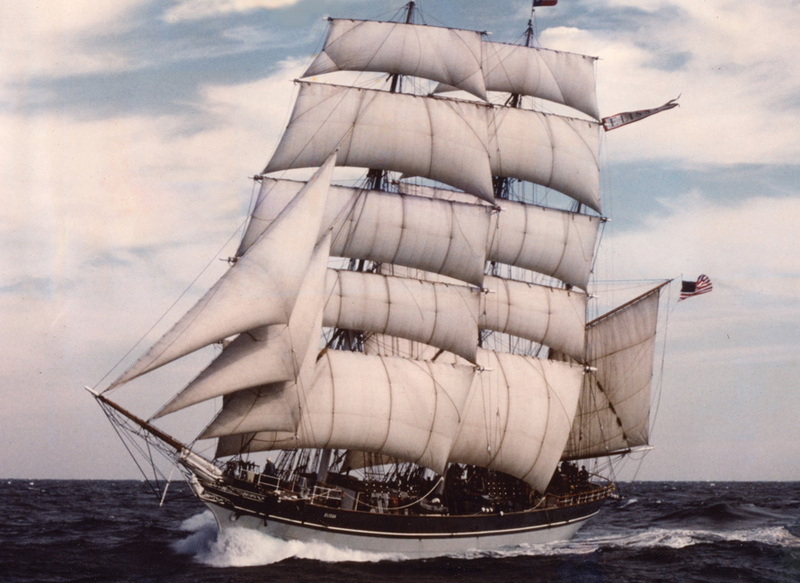 Galveston Historical Foundation brought ELISSA, an 1877 square-rigged iron barque, from a scrap yard in Piraeus Harbor, Greece to Galveston to begin restoration work in 1978. By 1982, GHF staff and volunteers completed restoration and transformed this rare, historic vessel into a floating museum that would actively sail. Today, ELISSA is one of only three ships of her kind in the world to still actively sail and welcomes over 40,000 visitors annually. She also serves as the Official Tall Ship of Texas, a National Historic Landmark and a symbol of the Gulf Coast’s historic beginnings as a seaport and active waterfront. This ship will be available for day sails throughout the festival weekend. Book your date now! In 1997, Woodson K. Woods embarked on a journey to build a privateer inspired by the original historic tall ship from the War of 1812 – The Privateer Lynx. His goal was to create a living history museum to educate children and adults alike about American history through active sail training aboard a real wooden sailing ship. What went into Lynx was not just wood, rope, brass and canvas, it was something that goes far beyond history, ambition, inspiration, determination, and commitment. On July 28, 2001, in Rockport, Maine, Woods’ vision was realized. Past and present converged as Lynx was launched in a gala event ordaining a magnificent future on the high seas. The creation of Lynx embraces eternal truths: passion, sacrifice, perseverance, honor, and courage. 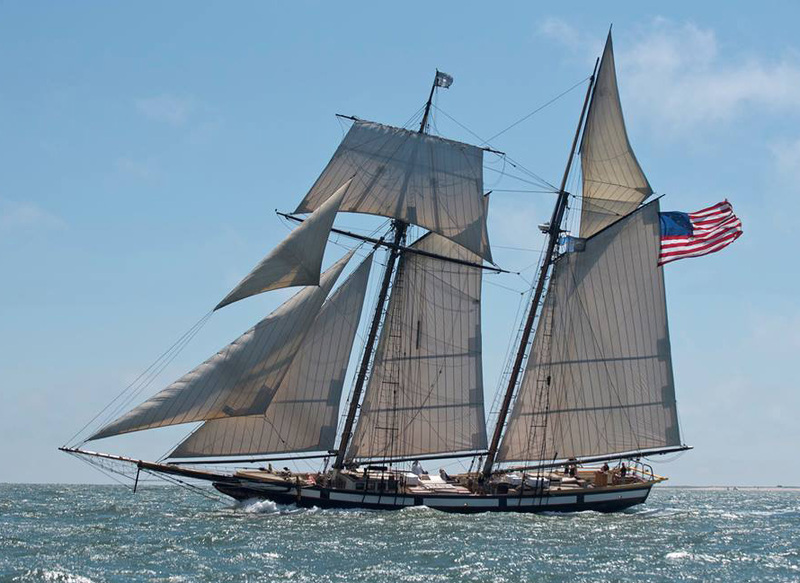 SSV OLIVER HAZARD PERRY is the largest civilian Sailing School Vessel in the United States and the first ocean-going full-rigged ship to be built in the U.S. in over 100 years. The ship is named for US Navy Commodore Oliver Hazard Perry. Perry led the first US naval victory over the British in the Battle of Lake Erie; War of 1812. Based out of Fort Adams, Newport Rhode Island, the ship features educational programs focused on growth with leadership development opportunities for students of all ages. Programming includes team building in the form of practical sail training as well as customizable leadership workshops. 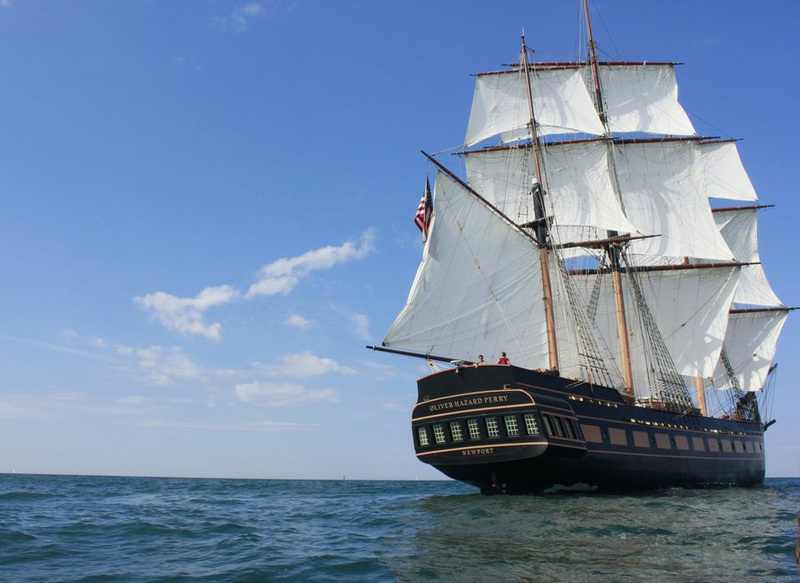 OLIVER HAZARD PERRY is 200 ft. in length with 7 miles of rope, 160 belaying pins, and 20 sails. The three-masted topsail schooner OOSTERSCHELDE was built in 1918 as a sail-powered freighter. The vessel plied the European waters and was regularly seen off the coast of Morocco and on the Mediterranean Sea. In 1930, heavier and modern diesel engines were placed and the rigging was reduced. From 1939 the vessel sailed under foreign flags and underwent a drastic conversion in 1950 into a modern coaster. In 1988, the OOSTERSCHELDE was brought back to the Netherlands. The Rotterdam Sailing Ship Foundation took charge of the fundraising necessary for the financing of the restoration of the vessel to its authentic condition. 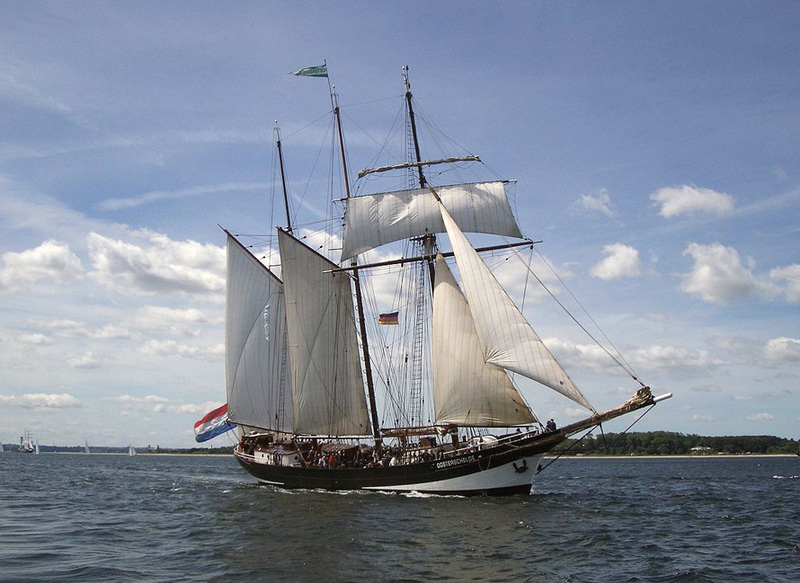 The OOSTERSCHELDE is now the only remaining representative of a large fleet op topsail schooners that used to sail under the Dutch flag at the beginning of the previous century. She is registered as a monument by the Dutch Ministry of Culture. 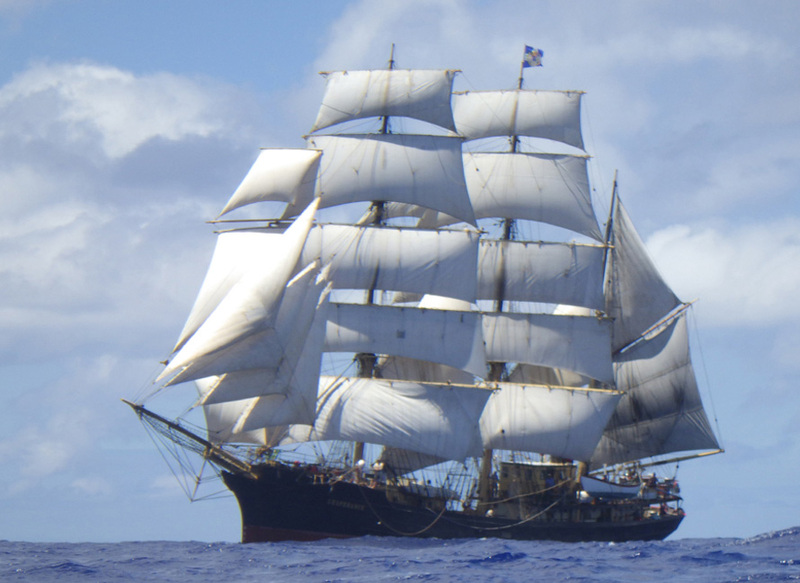 The PICTON CASTLE is registered in the Cook Islands, in the South Pacific, and is owned and operated by the Windward Isles Sailing Ship Company, Ltd. The ship’s mission is deep-ocean sail training and long-distance education. Her North American homeport is Lunenburg, Nova Scotia. The ship is a completely refitted barque that observes the rigorous standards of Germanischer Lloyds for steel-hulled Cape Horners. 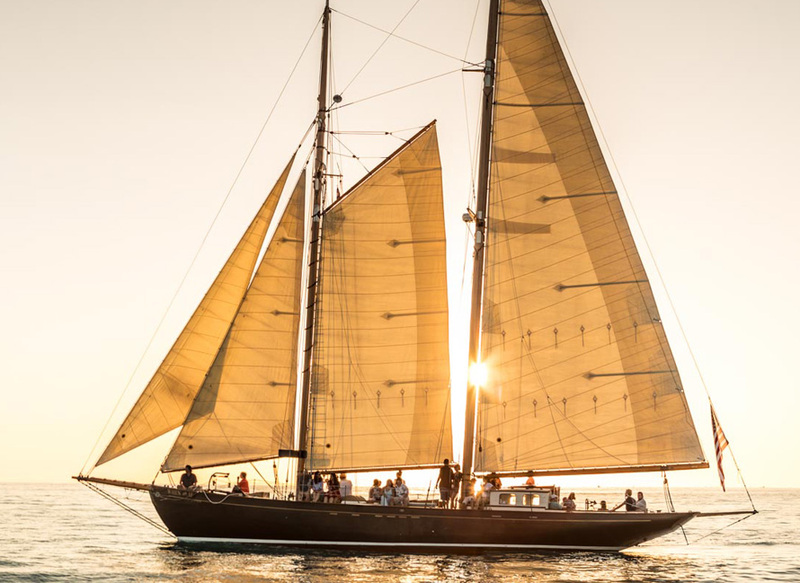 She is 179 feet overall, with a riveted steel hull, clear oiled-pine decks, steel masts, wooden and steelyards, and carries 12,450 square feet of canvas sail. The PICTON CASTLE is a true working tall ship. Sail trainees participate fully in the ship’s operation: handling sails, scrubbing the deck, taking a turn at the wheel, raising anchor, hauling on lines, helping in the galley, going aloft, and keeping lookout. When General George S. Patton commissioned one of America’s greatest designers to conceive him a boat to be built by F.F Pendleton of Wiscasset, Maine in 1939, he had the ultimate ambition in mind: “When the war is over, and If I live through it, Bea and I are going to sail her around the world.” WHEN AND IF was a new idea: a yacht which would maintain all her classic beauty and hold her own in recreational racing whilst being sturdy, comfortable, safe and luxurious enough to take a family on the voyage of a lifetime. Early in 2012, Doug Hazlitt, well known in yachting circles, purchased the WHEN AND IF with plans to return the vessel to its original and Bristol condition. Following an extensive 2 year restoration, she is back in all her glory and ready for you to come and sail her away! Tickets are non-refundable. The festival is open rain or shine. GHF is not responsible for independent transactions between visitors and vendors. We are committed to making the event special needs accessible. If we can assist with arrangements, please contact us at 409-765-7834 in advance of your visit. Open carry firearms, pets and ice chests are not allowed. Scooters, skateboards, rollerblades, skates, Segways and other recreational “wheels” are forbidden. Guests bringing in costume weapons and props must have them secured and will be asked to go through additional screening. Any chance of the Spanish tall ship, the Juan Sebastian Elcano, coming to the challenge? Unfortunately, that ship is unable to join us. We are awaiting confirmation on one more ship and hope to have that announced this week. I have this beautiful picture of the ElCano hanging on my wall. We cannot wait for this amazing weekend! Would the Polynesian wayfinding vessel, Hokule’a, qualify as a Tall Ship and be invited? Thanks for your question. We have our roster full for this year’s festival. There wouldn’t be space for any additional ships. Oh my goodness! Wouldn’t that be SO special to have Hokule’a in Galveston, TX!!! Mahalo for posing the question! I followed her journey and saw she was in Kailua-Kona recently! Are all of these ships going to be docked in the same area as the Elissa? With one ticket my participants see each ship? One ticket gets you into the festival grounds and allows viewing or access onboard (depending on which ticket you buy) each ship. We are so very excited!! We went to a Tall Ship event in Mystic, Connecticut in 2004. We were driving through on our honeymoon and saw the tall masts from afar. Like a magnet we drove toward them. It was amazing!! The highlight of our honeymoon. I’ve been on the Elisa when she first came to Galveston. It was amazing. I visited Halifax, Canada and saw a beautiful large tall ship gathering. I believe they have ships from all around the world that they receive every other year. Is there a way we can be part of that? It is absolutely spectacular to see. We hope to hold the festival every 3-4 years. My wife and I live down the street from the Elissa. Can’t wait to see all of the sailing ships. Thanks and good job on organizing event. I have sailed on Crystal Symphony in several European ports as the Tall Ships sailed and had as a guide Thad Koza on a ship tour. How many ships do you expect in Galveston and will the ships’ parade leave from where the Elissa is docked. We will have a total of six ships. Departure time has not been finalized but the ships will leave from their docks. The When an If was built very close to where my ancestors lived for generations…..on Hodgdon Island, ME, just across the bridge. My ancestors were sea captains way back in the 1700’s and early 1800’s. Their home built in 1810 is still there today as a bed and breakfast. I am looking forward to seeing this ship. I was in Bermuda in 1976 when all the tall ships that sailed into New York for the bicentennial massed before going to New York. There were the Danmark, Kruzenshtern and 20 others. Such an event is not to be missed! See you there. I first experienced the Tall Ships Festival more than 20 years ago in Newport, RI – the premier Tall Ship Festival that probably started it all. A highlight of the festival – every sailing vessel was a highlight truly, but the one that did it for me was to see Old Ironsides herself – the original restored USS Constitution under her own sail! I AM THRILLED to that GHF is bringing this festival to Texas & looking forward to many years to come! We sailed with the Tall Ships in 1976 in New York on July 3 & 4th on our sailboat we pulled across country. We then were able to board and tour the Amerigo Vespucci the next day. It was the most incredible experience/trip you could imagine. We traveled to Chicago, from Houston, for the festival there several years ago at Navy Pier, what a great setting. The parade of sail was really something. I’m reading where the ships will be open to the public for viewing. Is this free viewing or must you buy a ticket? Viewing of the ship is a ticketed event. You can get your tickets at http://52.15.118.96/events/tallships/tickets-and-special-events. #1-Were can we go in-person to purchase a ticket to walk the pier and see these ships from the dockside? I ask because my travel plans are still up in the air. #1a-Is the $10 ticket good for both Thursday & Friday? #2-Also, where is the best place to view the Parade of Ships as they sail into Galveston on Thursday (is there a Pier #/Name or some kind of landmark). 1 – Tickets will be for sale at all festival entrances. 2 – Tickets are good only for the day of purchase. 3 – East Beach is the muster point for the ships and will be the first time they are all together. Angel, I was there in Newport when you were. It was spectacular. Drove the long drive around til the last ship was out of sight. There is a wonderful Tall Ships book by Thad Koza that I will treasure always and you should see if you can find it. Have seen the Picton Castle and Oosterschelde before. Have wonderful pictures of two Tall Ship sailings other than Newport. Both were in Europe.